Amazing and very large 1910 Cheyenne Indians of the short-lived Rocky Mountain League, of which they were champions in 1910 and 1911. Measures 20 1/2" x 10", the image 19 1/2" x 8". 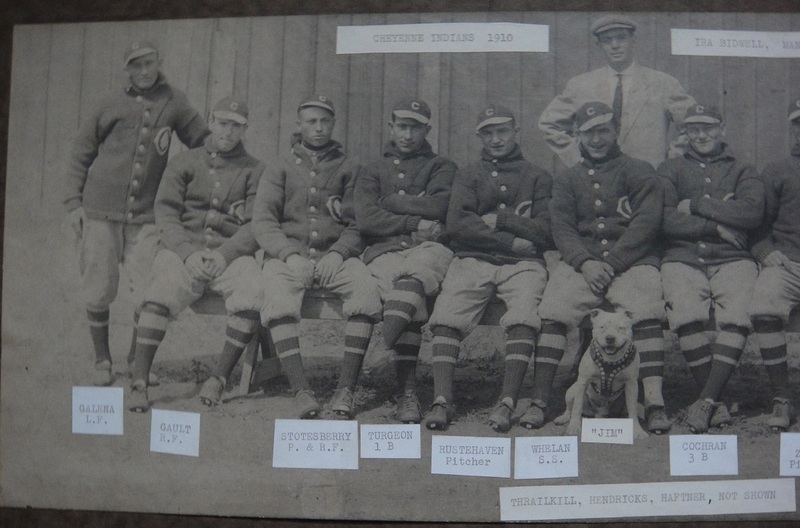 Presented are the team, it's owner/manager and the mascot, taken at their home field. This exact image was used to make a postcard, which is quite scarce itself. In fact this is probably the original piece taken to reshoot for the postcard, unless it was taken directly from the negative. Taken by local photographer Joe Shimitz, Cheyenne, Wyoming. 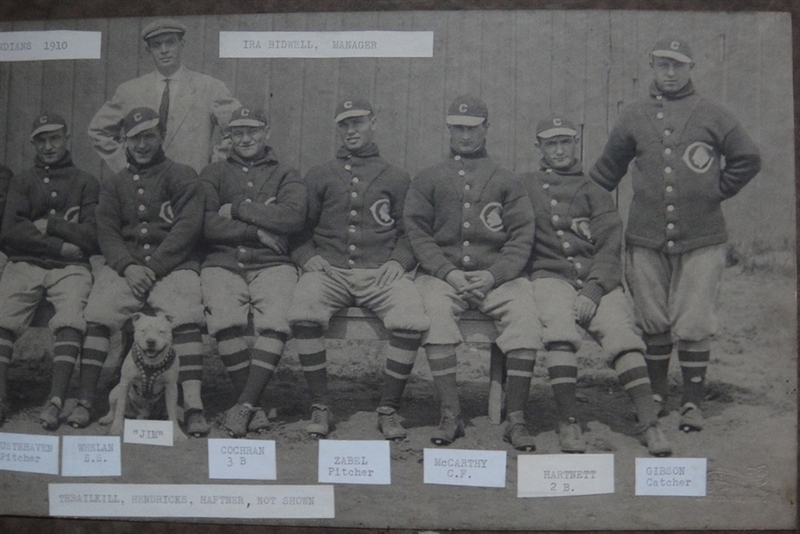 Manager/Owner Ira Bidwell was a very prolific figure in early 20th century baseball, organizing teams in the Kansas City area for many years, as well as other smaller Kansas towns and barnstorming teams. Eight of the players on the 1910 Cheyenne Championship team were from the Kansas City area/teams. Several of these players saw other Minor and Major League action. Each has a small piece of contemporary paper adhered below, with their name and position. 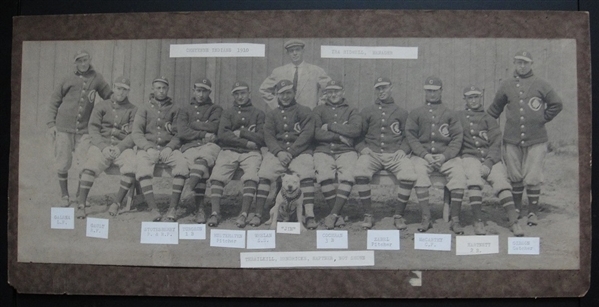 The players are left to right: Johnnie Galena, Phil Gault, Little Stokesberry, Paul Turgeon, Harry Rustenhaven, Jimmy Whelan, Ira Bidwell in the back, Jim the mascot dog, George Cochran, George Zabel, Joe McCarthy, Ned Hartnett and Bobby Gibson. 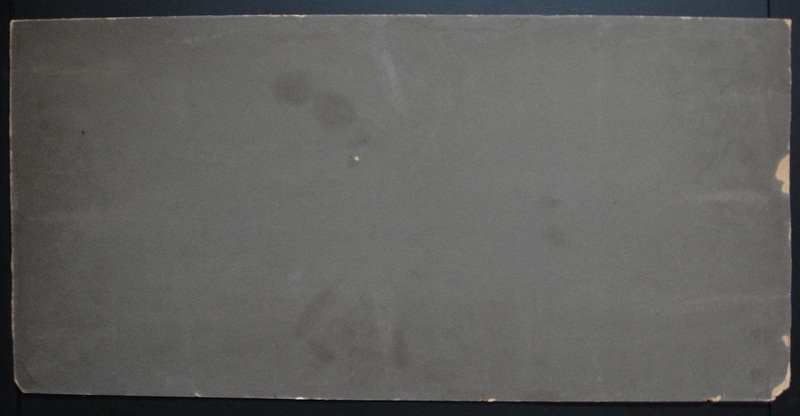 The image is very clear and in excellent condition. The mount is probably original to the piece and not cut down. One would surmise that this came from one of the players or more likely Ira Bidwell. Bidwell was the founder of the Kansas City Red Sox, which took on a young Casey Stengel in 1909, before packing up and moving the club to Cheyenne in 1910. Sadly after more than a decade in organizing teams and very good ones at that, Bidwell died from the result of an airplane crash in 1919 when he and another former Air Force pilot were doing an airshow in Cherokee, Oklahoma. A fantastic piece for the Minor League or Cabinet collector. Large size images are scarcer and more desirable.